It is summer once again, and so everyone is more vigilant and active in protecting one's home from fires. Solane recognizes the need to safeguard its customers and so it has intensified its safety campaign in partnership with the Bureau of Fire Protection (BFP). Earlier today in Makati, Solane launched its new gas-tight Solane safety cap & seal in one, an innovative tamper-proof feature for auto/shut off (A/S) valves that has guarantee of quality and secures your home against gas leaks and potential fires in its commitment to continuously innovate and create safer homes for Filipinos. 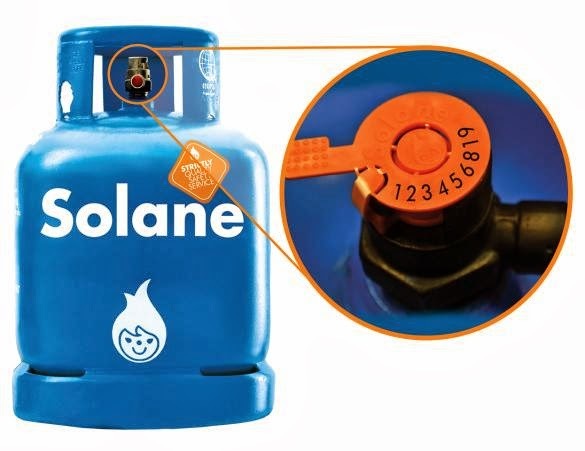 To check if want you have is an authentic Solane LPG, rip-off the tab from the safety cap and then log on to Facebook. Solane’s facebook page (www.facebook.com/Solane.PH) has the Solane Authenticity Checker Apps handy in which you may enter the serial number to verify if the tank came from a licensed Solane dealer. Order Solane LPG online at www.solane.com.ph or call 887-5555 for home delivery within Metro Manila. You may also opt to send SMS to 0918-8875555. Getting a refill for your LPG tanks at home has never been this safe and convenient. Every Solane LPG delivery to your home guarantees a 7-point Safety Check of your LPG system by our well-trained Solane LPG riders, which is a service exclusive only to Solane LPG users. Order na sa Hatid-Bahay Online for the LPG that is strict sa quality, safety, and service!